When it comes to controlled and hazardous waste disposal, we are trained to ensure the safety of you, our team, and residents in your building or neighbourhood. 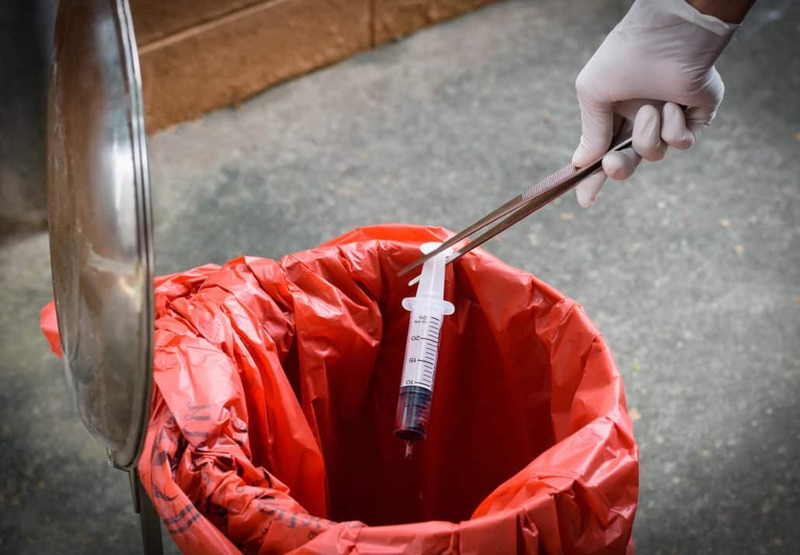 Our expertise enables us to identify these substances, separate them from regular household garbage and dispose of them professionally and responsibly. As a CRD operated facility, Hartland Landfill has strict requirements for controlled and hazardous waste disposal, and may require permits for certain items. Our start to finish junk removal services include all aspects of safe disposal of any items we identify as controlled or hazardous waste. Controlled and Hazardous Waste—What’s the Difference? Controlled waste includes items that pose a potential health threat or environmental hazard, and therefore cannot be included with ordinary household garbage disposal. Hartland Landfill contains these substances in separate trenches to control rodents, odours and leachate. Hazardous material disposal does not require a special permit from Hartland Landfill, and the list of accepted items is extensive. Put simply, hazardous materials are any items that are poisonous, explosive, flammable, or corrosive. This includes solvents, paints, barbeque starters, automotive products, empty propane tanks, batteries and glues. Again, we’ll sort these items for you as part of our junk removal services, and ensure they are disposed of safely and properly. Drywall disposal requires asbestos testing prior to removal, as do other potentially hazardous materials like vermiculite insulation, older flooring, cement tiles and carpet. Disposal and testing are services we offer, and we can handle any materials with negative test results. Materials that test positive for asbestos are accepted at Hartland Landfill but require special handling. Not sure who to call? We can facilitate efficient removal by recommending companies that specialize in asbestos disposal.